Please take a few minutes to read through, I will not reply to any query regarding information already stated here. It helps a lot if you actually read through and understand first. This is not a Detailing Q&A thread. Any detailing question please post it to Car Detailing thread. And stop asking me how to DIY coatings, the Internet is full of information you will need and I am not stopping you to access it. Kindly no "PM Me Best Price". We all just earning our livings no? Optimum Opti-Glass Coating is the long awaited glass and windshield coating from Optimum Polymer Technologies, one of the leading innovators in surface care protection products. Optimum Opti-Glass Coating is a resin-based glass coating that forms a durable layer of protection against environmental contaminants, leaving your windshield and exterior glass clean and protected. A properly detailed vehicle starts with a clean windshield. What if we told you there was a product that would keep your windshield clean longer than anything else, while providing rock-chip resistance? 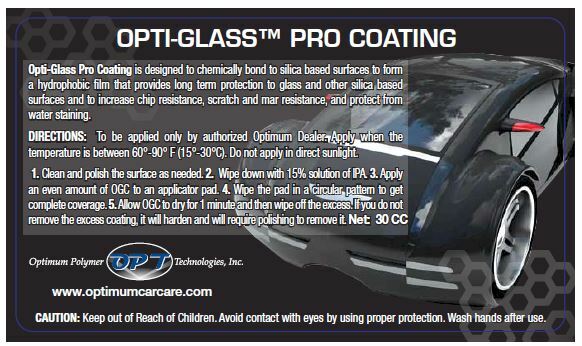 There is such a product from Optimum Polymer Technologies and it’s called Opti-Glass Coating! Optimum Opti-Glass Coating forms a durable, cross-linking bond to glass and other silica-based surfaces, providing the utmost in chip, scratch and mar resistance. Optimum Opti-Glass Coating creates such an immense amount of surface tension on glass surfaces that water will simply bead up and roll off at speeds above 35 mph, rendering your windshield wipers virtually useless at highway speeds! Why not just Opti-Coat the front windscreen too since it has lifetime warranty? Doesn't that means it is much stronger? Yes, on all aspect the Opti-Coat is much more stronger and thicker in its build, due to the original intention of Opti-Coat is to provide protection to paint surface while providing a good surface tension, which results in great water beading too. However, Opti-Glass Coating is improved and aimed at windscreen application, with focus being put in reducing friction, which means a finer and smoother layer of coating in terms of microscopic level. Thus, wiper would not face the juddering effect, and there is less abrasion caused by wipers over the coating. The following video and image is courtesy of yikseetoh support of Opti Glass. Opti Coat Pro and Opti Glass Pro in action. Price: Start from RM200 for most sedans/hatch (Depends on vehicles windscreen/windows sizes and quantity) Extra traveling charges apply if your place is too far out from me. 1 year for side windows and rear windscreen. 1) Any polishing on the windscreen/windows that is not conducted by me. Appointment needs to be made. I will travel to your home to properly clean your windows/windscreen, and then apply the coating. How much is Opti-Glass Pro for Myvi LB? What car to be applied? best price? last longer until 1 year? izzit possible to do the coating for my F30 interior black gloss trim , gear knob and dashboard ?? Hi. How much for the pug 408 and it headlamp ? 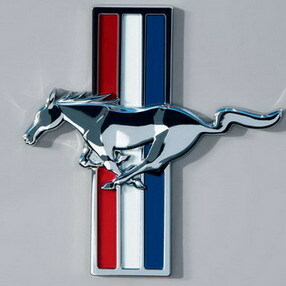 bro, please pm me the best price for Ford Focus MK3 Hatchback, thanks. Hi, can u pm me the price for passat n myvi? If I want to the headlamps too how much would that be? When will u be free to do this n how long will the opti coat glass last? Tq! Pls PM price for Honda city. May i know the price is for front windscreen or whole car?